File this under novelty items, but it’s interesting nonetheless. 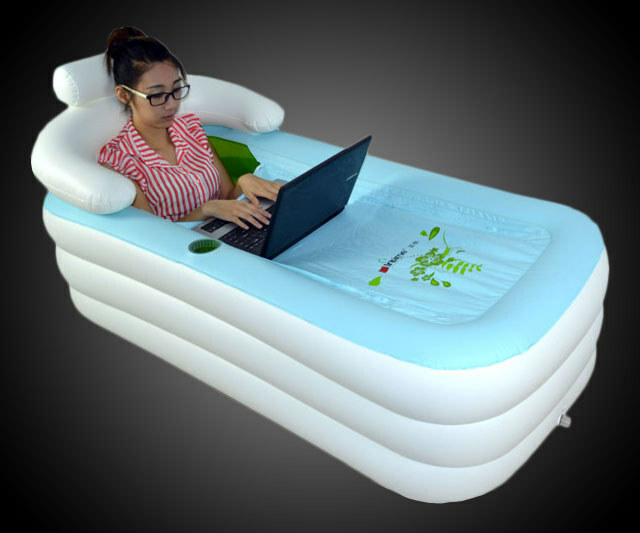 The Inflatable Bath Tub for adults is exactly what it sounds like: a bathtub that you fill up with air, and can use “anywhere”. 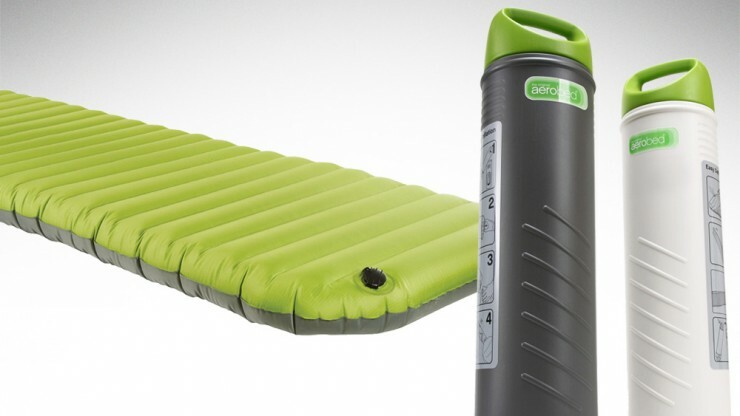 It comes with its own air pump, and when deployed, will fit a person up to 6’5″ and 280 lbs. Of course, you’ll have the issue of figuring out how you’re going to fill it with water, and then drain it afterwards. 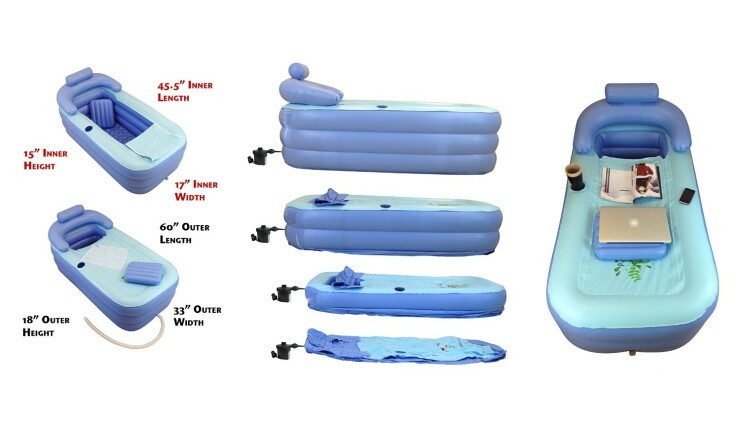 Although it comes with a 4 foot accordion drain hose, we imagine that setting up an inflatable bath tub on your fifth floor apartment poses more challenges than most people imagine. Still, if you like to live dangerously, you can own one for $179. And unlike the girl in the picture, it’s totally ok to get in with your clothes off. Road trips are fun, but long-distance trips will take a toll eventually because cars aren’t exactly made with comfort in mind. Cue the Inflatable Car Bed that transforms the entire row of seats into a comfortable sleeping area for one person. It makes most sense to have one of these if you’re driving a van or something with more rows of seats or space, because you can’t exactly fit more than one person on this thing comfortably. It’s pretty compact when it’s folded, so you can just keep it in the trunk when you don’t need it. The bed is constructed from high-quality PVC with a soft surface, which makes it more than perfect for on-board snoozing. 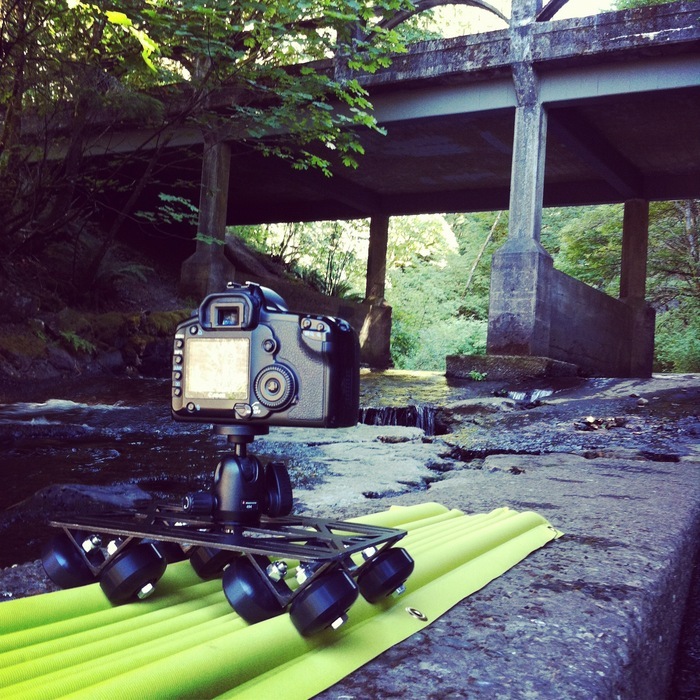 The whole world isn’t your stage, but you could set one up, anytime, anywhere, with the Ark Nova. 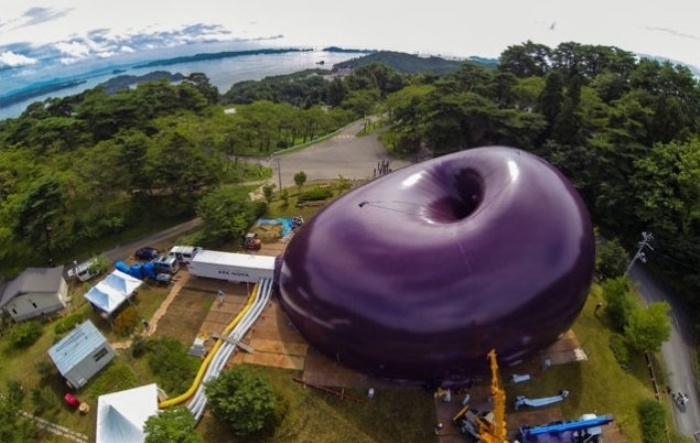 It’s a massive, inflatable concert hall that can fit up to 500 people. Given that it’s just an inflatable, you’ll be surprised at the ornate and grandiose interior of the tent. Lighting plays a big part in setting the tone and creating the ambiance inside the Ark Nova. 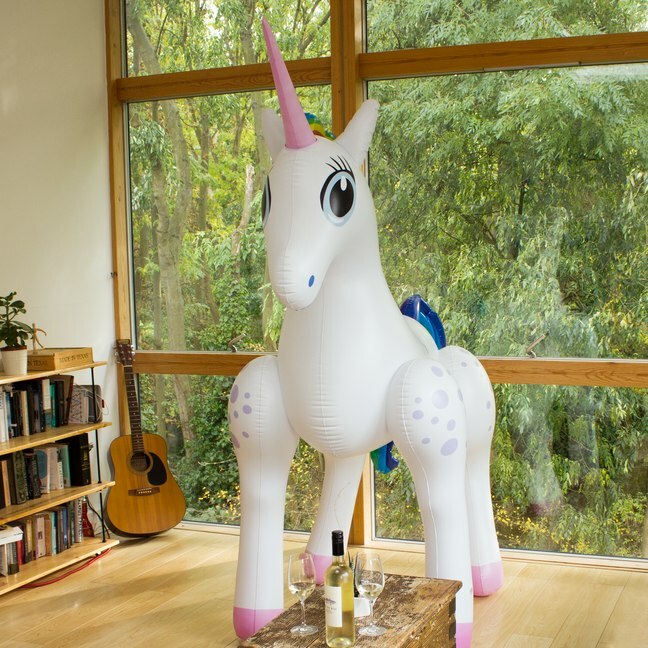 Considering the fact that you’re already working with an inflatable tent, I think you would be more than resourceful enough to find decors that would make its interiors even more grand. It’ll take a while to knock someone out if you don’t really know what you’re doing. 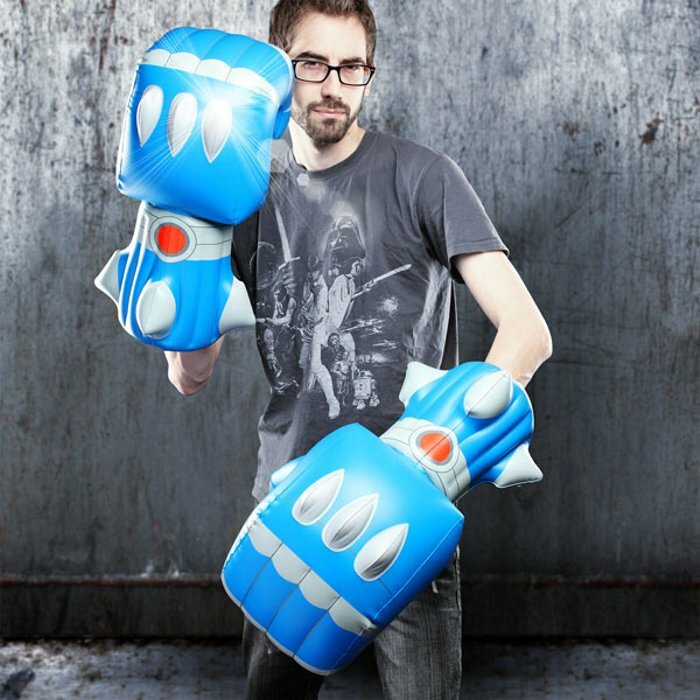 It might take even longer if you happen to be wearing these Giant Robot Battle Fists on both hands. Unless you’re the Hulk or Bizarro. That’s just as well, because they weren’t made for use in fights in the first place anyway. They’re great for cosplays (Mega Man, anyone?) and for costumes. And with Halloween coming up in just a few weeks, you can kiss your costume woes goodbye. ThinkGeek says they’re forged from Cobalt Flame and Robotonium, but we all know better. They’ll ship out flattened, of course, but just pump in some air (or blow some in if you feel like showing off) and you’ll be good to go. By David Ponce on 09/14/12 • Leave a comment! It’s a problem when the things you buy that are supposed to make your life better end up doing the opposite because of crappy design. 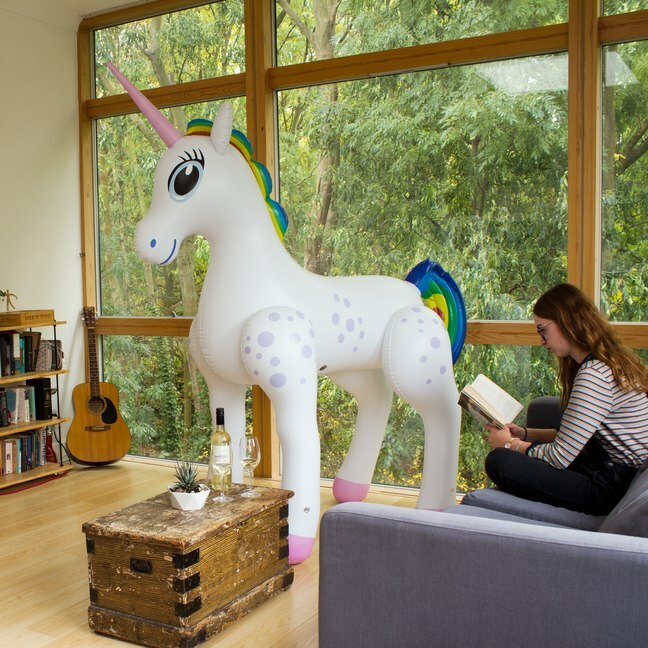 Take inflatable mattresses. Their reason for existing is to conveniently offer you some sleeping space when there is normally none available. But the price you pay for this “convenience” is that you have to wrestle the thing afterwards, trying to fold it up to store it somewhere, along with the unseemly and bulky pump that likely came with it. The AeroBed PakMat Sleep System however rolls right up and fits in a plastic container… that also happens to be the pump used to inflate it! It’s a simple solution to not such a huge problem (keeping it real, here), but there you have it. It’s $97. By David Ponce on 05/30/12 • Leave a comment! With summer comes all kind of water activities. But you’re limited by what your environment gives you. Much as you’d like to swing from a long rope and splash into a cool body of water in a hot day, you won’t be able to if this body of water isn’t lined with a bunch of obliging trees. Unless you bring this contraption along. It’s a 13 1/2? 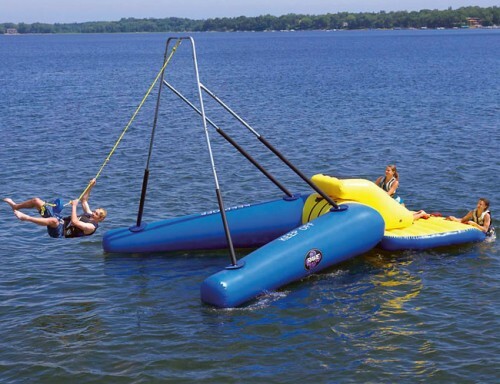 tall Floating Rope Swing that’s made from 28 oz. marine-grade, reinforced PVC. The large horseshoe shaped base is anchored solidly to the lake bottom via three anchor points, and should be able to support swingers up to 250lbs. Maybe even more interestingly, if you fail at life often, there’s a chance you’d have gotten hurt from a regular lakeside rope swing; hitting trees and rocks on your way down has a way of doing that. None of this with the Floating Rope Swing. Well, one thing will be hurting: your bank account. You can buy yours at Hammacher Schlemmer for a cool $3,800.